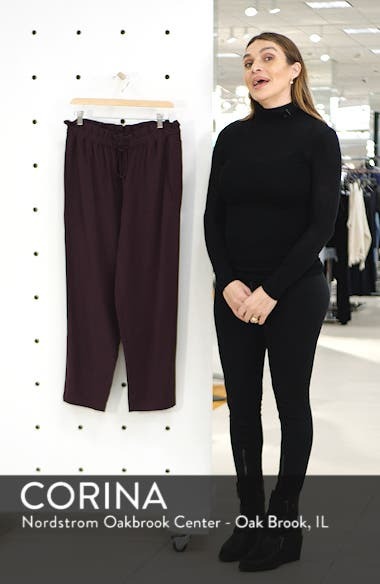 An easy fit is enhanced by the paperbag waist of these seasonless ankle pants cut from a substantial crepe fabric with a fluid, silky feel and movement. Choose a sizeOversized by design. If ordering Eileen Fisher for the first time, order one size down. XXS=0, XS=2-4, S=6-8, M=10-12, L=14-16, XL=18 (14W). High rise.